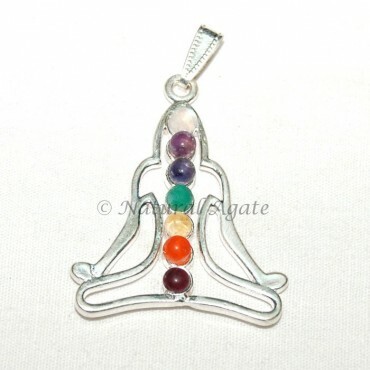 Natural Agate offers you Buddha Chakra Pendant. An outline of Lord Buddha in yogi position with seven chakra stones representing seven body chakras is a beautiful, awe-inspiring pendant. You can get this for yourself or for your loved ones.